Prof. Dr. hab. Agnieszka Grzelak ist Professorin für Europa- und Völkerrecht an der Kozminski-Universität in Warschau und stellvertretende Direktorin der Verfassungs-, Völker- und Europarechtsabteilung im Büro des Bürgerrechtsbeauftragten in Polen. Nothing illustrates the rule of law crisis in Poland as well as the practice of the functioning of the Constitutional Tribunal. During more than thirty years of operation, the Tribunal has established itself as a protector of democratic process and defender of limits upon the legislative and executive powers. Although many of the Tribunal’s judgments were controversial, the Tribunal in general has been a leading judicial actor contributing to the protection of human rights and the rule of law. That explains naturally why it has become the first enemy of the governing PiS party, which could not tolerate and accept the existence of the uncontrollable body able to invalidate unconstitutional laws adopted in the parliament (see the Verfassungsblog posts of Sadurski and Matczak). In March 2017 I have tried to explain to the readers of the Verfassungsblog the background and the possible consequences of the admission to adjudication by persons who have been chosen contrary to the Constitution (so-called “anti-judges”). Despite the Venice Commission opinions, despite the recommendations and the reasoned proposal (COM(2018) 735) of the European Commission, the PiS government does nothing to fix the situation of the Tribunal. Not only it allowed the unconstitutionally chosen judges to adjudicate from December 2016, but also nothing prevents the governing party from choosing the next anti-judges, replacing two who died in the meantime. Nominating a new person replacing the one who was chosen unconstitutionally does not make this choice legitimate. We cannot forget about this birth-sin. The possibility to make an application to the Constitutional Tribunal for the Ombudsman is a fundamental tool to repair systemic problems. Theoretically, it allows the submission of objections regarding the conformity of the provisions of laws and executive acts with the Constitution to the body which – at least in theory – should assess it independently. The Ombudsman submitted every year many abstract applications to the Tribunal: 19 in 2014, 21 in 2015, 24 in 2016.This number does not include participation in proceedings initiated by constitutional complaints and requests of other entities. From December 2016, however, due to a problem of the legitimacy of the Constitutional Tribunal, the number of the Ombudsman’s applications decreased to 6. One can ask one very important question: If the Ombudsman sees the problem of the legitimacy of the Constitutional Tribunal, why does he submit any application to the Constitutional Tribunal? It is important to remember that the Tribunal shall adjudicate most of the cases sitting as a bench of five judges, so there is still possibility that the case will be decided by the legitimate and proper composition and the judgment will be valid. This is also the reason why one should fight for it. Since the beginning of January 2017, the Ombudsman has been constantly filing applications for the exclusion of these three persons from adjudicating panels in specific cases. In 2017, there were 7 cases in which the Ombudsman decided to submit the requests for removal of an anti-judge from adjudication. Those requests were either left without recognition of simply rejected. In 2018 the Tribunal began to set the dates of hearings or sittings in camera on key issues from the point of view of fundamental rights: the surveillance law, the law which changed the rules on the admissibility of so-called "fruits of the poisoned tree" as the evidence in criminal proceedings and – last but not least – the anti-terrorism law. The surveillance law case illustrates the problem very well. The Ombudsman addressed the application to the Constitutional Tribunal at the beginning of 2016. At that time, Andrzej Rzepliński was still the President of the Court. To consider this case – as of special importance – the President appointed the full bench of the Constitutional Tribunal. When the presidency was taken over by Julia Przyłębska, she decided (against the law) that the case would be judged by a five-person bench, in which two anti-judges would sit: Mariusz Muszyński and Lech Morawski. In September 2017, the Ombudsman drew attention to the lack of a legal basis to change the composition of the court in the present case. Changes can be made (Article 38 paragraph 1 of the Act on the functioning of the Constitutional Tribunal) in justified cases, in particular due to the subject matter being examined. Then, the president of the Constitutional Tribunal may appoint a judge-rapporteur, leaving the rule in accordance with the alphabetical order. But he/she cannot change the composition of the full bench to five people. And the replacement of the judges in the composition may take place only as a result of the expiration of the mandate of the referee or the exclusion of the judge. None of this was the case. Instead, Julia Przyłębska on February 14, 2018, again changed the composition of the court by removing one of the “proper” judges and by appointing another anti-judge. Since the application to exclude the anti-judges was not considered at all, the Ombudsman finally decided to withdraw the whole application. According to the law, the Tribunal cannot do anything else than discontinue the proceedings. Surprisingly, this was not the end. Muszyński (who also acts as the Deputy President of the Tribunal) attached a dissenting opinion to the decision, in which he personally attacked the Ombudsman, Adam Bodnar, claiming that by withdrawing the application, he acted against his oath. This should justify – in Muszyński’s opinion – the dismissal of Adam Bodnar. This attack did not stop Adam Bodnar from continuing his job to the best of citizens. On 24th April, 2018 the Ombudsman was officially informed that the anti-terrorism law will be adjudicated during the sitting in camera on May 24th. Surprisingly, the composition of the adjudicating bench was changed again from the full chamber to 5 judges. And – not surprisingly – again, Muszynski was appointed as the judge-rapporteur. This time the Ombudsman did not even have a chance to prepare a motion to exclude Muszynski and another anti-judge, since the law gives only 7 days for the decision on withdrawal of the application. No other decision was possible. The anti-terrorism laws, as well as surveillance laws or the laws on the "fruit of the poisoned tree" conformity with the Constitution and international agreements are still highly dubious. But, as I have previously explained, letting the Tribunal adjudicate cases in incorrect composition, creates the possibility of undermining legal certainty and would deepen legal chaos, leading to the possible non-existent sentences. According to Article 45 para 1 of the Polish Constitution, everyone has the right to a fair and public hearing without unreasonable delay by a competent, independent, impartial and independent court. This right includes a very important element, which is obviously the right to have cases considered by the legitimate composition of the court. This is a European standard. The Ombudsman therefore must use all possible instruments to safeguard the legal certainty and to prevent from opening the door for questioning Tribunal’s judgments by international courts or institutions (cf. for example the reasoning of the preliminary reference of the Irish High Court in case C-216/18 PPU). In his dissenting opinion, M. Muszyński claims also that the Ombudsman – by withdrawing the application – violates the principle of loyal cooperation between state institutions. This argument is clearly based on the misunderstanding of the role of the Ombudsman – this is an independent body, appointed to act impartially, with the utmost care and dignity. Therefore, it requires a thorough analysis of each case without regard to the assessment of his person by anybody, and only for the benefit of citizens. The three cases only illustrate how easy it is to manipulate the adjudication panel – where the problem is systemic and important for the authorities, it is almost always M. Muszyński who is judge-rapporteur or at least a member of the bench. He himself admitted recently (cf pt 3.2.1.) that ensuring the efficient functioning of the Tribunal means the possibility of determining compositions in situations that have not been specified in the law, such as for example changes of the judge-rapporteur in cases in which the bench cannot accept the draft decision. However, where there is no political significance of the case it is still possible to get the sentence issued in the correct composition. Look for example at the case K 53/16, on profiling of the unemployed person, soon to be considered by the legitimate 5-judges bench. This is not the end of the fight of the Ombudsman for the constitutionality of the above-mentioned laws in Poland. However, since the road via Constitutional Tribunal is almost impossible now, the other legal possibilities must be considered, such as presenting constitutional arguments in cases pending before common or administrative courts. One may not also forget that it is the executive authority that still may propose relevant amendments to the law – the Ombudsman will definitely continue his dialogue with the executive and legislative authority hoping that it is still possible to find balance between effective powers of the law enforcement agencies and citizens’ rights. Adam Bodnar still has 2 years and 4 months to act. Disclaimer: The author is the Director of the Constitutional, International and European Law Department at the Office of the Ombudsman of the Republic of Poland. 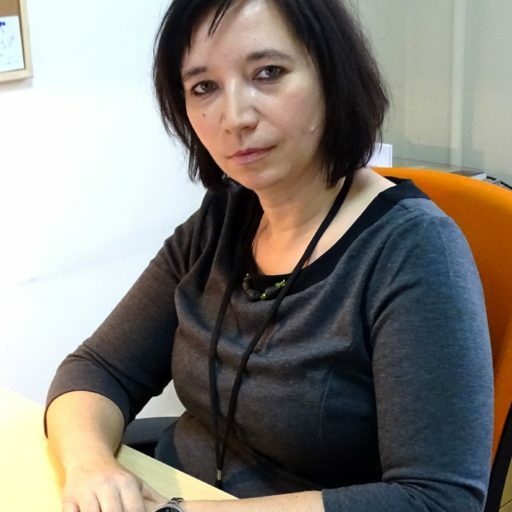 SUGGESTED CITATION Grzelak, Agnieszka: Choosing between two Evils: the Polish Ombudsman’s Dilemma, VerfBlog, 2018/5/06, https://verfassungsblog.de/choosing-between-two-evils-the-polish-ombudsmans-dilemma/, DOI: https://dx.doi.org/10.17176/20180507-101835.